1. 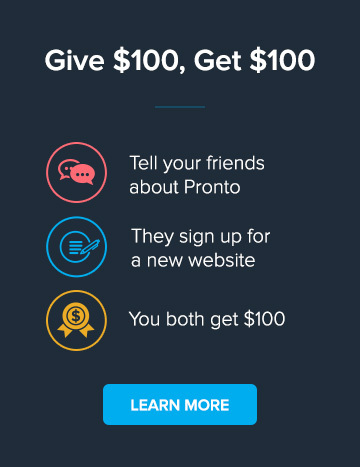 Log into your dashboard at https://app.prontomarketing.com/ and select Refer a Friend under the Account dropdown menu. From here, you'll be able to see your personal referral link which you can share via social media or email within the dashboard or you can just send the link to anyone who might be interested in our services. Once someone visits our site through this link, we'll be able to track their signup as a referral under your account. 2. Alternatively, you can complete a short referral form and our stellar sales team will promptly contact your referral.